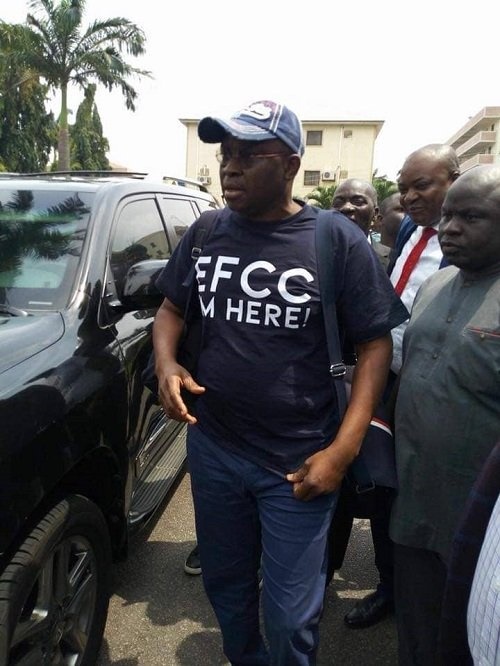 Ayodele Fayose, the immediate past Ekiti state governor has arrived the Abuja office of the Economic and Financial crime commission, in company of Rivers state governor, Nyesom Wike. 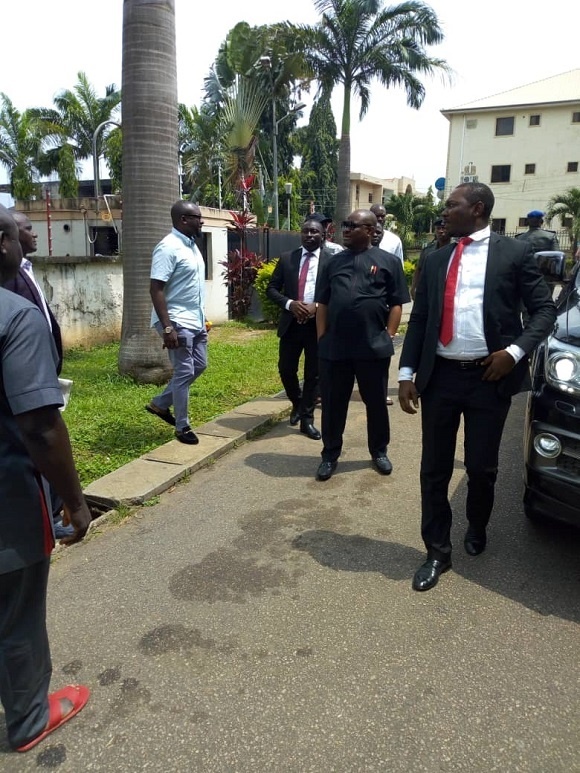 Some leaders of the Peoples Democratic Party, PDP, including Chief Femi Fani-Kayode, Deji Adeyanju, also accompanied the outspoken former governor to the anti-corruption agency’s office. The anti-graft agency is probing Mr Fayose over an allegation of 1.3 billion naira fraud while in office.